The year 2015 began with renewed vigor and New Year resolutions – to make this year count! Whether it is about personal goals or professional milestones, it is the perfect time to start afresh. However, there are a few things worth keeping from the previous year – it is the art and science of content marketing. 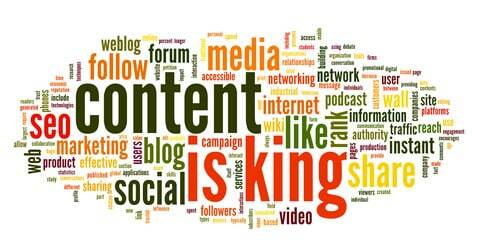 You can say that content marketing is one of the most popular marketing trends these days. It’s been around forever, but people seem to have forgotten the old days. With the digital age, companies need to continue the relationships with people that matter. What a better way than using content to build those communities. 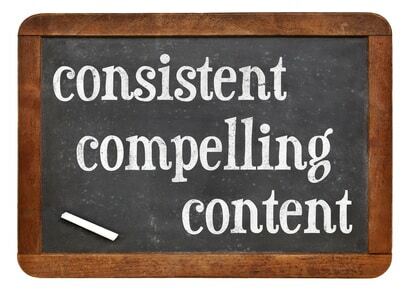 These tips and tricks will help you make the most of your content marketing regime in 2015. Give your business the boost it very well deserves and mark a year of prosperity like never before! In a survey, about 35% of marketers admitted they have a well-documented content marketing strategy while 48% seem to have a one that hadn’t been put into words. These statistics show a significant improvement from the previous year where 49% of marketers admitted they did not have a documented strategy for their content marketing efforts. This clearly suggests it is important to document your content marketing strategy before you try to implement it. Besides this, having it in the written form makes it more concrete and directional. According to another analysis, about 60% of the marketers who had a documented strategy regarded their effectiveness highly, while only 32% of those with a verbal plan could claim so. According to Content Marketing Institute at least 70% of marketers are actively participating (creating) more content, but in my humble opinion, half of them don’t understand why they’re doing it or how to be strategic about it. But that’s another post… for now suffice it to say creating consistent, compelling content is really your top 10 best things you can do to stay competitive. According to another observation, at least 62% of marketers integrated infographics as an integral part of their content marketing strategies. These documents are easy-to-share and easy-to-access, inviting the highest level of consumer engagement. Alternatively, you can use videos, interviews, white-papers and other forms of content to create consumer interest. Track, measure, rinse and repeat. Interestingly enough over 94% marketers consider LinkedIn to be the number one social media platform for distributing their content online for free, while 58% believe that (SEO) search engine marketing methods are still more effective in yielding the desired results. So if you are not using at least one of these methods to distribute content, generate leads or gain recognition across likeminded groups; it’d be worth investing in it this year! Businesses are increasingly becoming aware of the fact that content marketing is a specialized field in its own. It can no longer be integrated with other functions of marketing or public relations. Consequently, managers and business owners are rushing to put together their teams of content marketing experts to ensure well-coordinated results. At least 15% of businesses in the North America are planning to have a dedicated content marketing unit while 47% feel satisfied with their current systems where their content marketing team survives as an independent unit, but is required to coordinate with other teams over different matters. This year, content marketing is at an all time high. Time to make the right investments for a brighter and promising tomorrow!